Why You Should Use Non-Toxic Body Wash? Showering is part of your everyday routine to keep your body clean, fresh, and smelling good. What if this simple habit was exposing you to harsh and potentially dangerous ingredients or chemicals? Using a non-toxic body wash is essential if you are looking to avoid letting toxic ingredients into your body. Your skin is the largest organ of your body and absorbs anything that you put onto it. Have you thought about what is in your skin products, like your body wash? Often these products can contain chemicals and other ingredients that have been linked to cancer, asthma, fertility problems, birth defects, and many other unpleasant side effects. In this article, we will discuss the dangers of the chemicals hiding in the ingredient lists of some of your favorite body washes. We will also help you to know what ingredients you should avoid and which ones are the best for your particular skin type. We even did the hard work for you and created a list of the best non-toxic body washes; you’re welcome. Whether you are just starting your journey to natural beauty or you just want to learn more, keep reading to dive deeper. You may be thinking “is it really necessary to switch to a non-toxic body wash?” Well, that answer is up to you. Do you want to use products that are filled with potentially dangerous ingredients? Chemicals and fragrances that are found in some body washes have been linked to multiple issues including, irregular periods, asthma, allergic reactions and even cancer. The accumulation of exposure to chemicals that can be found in artificial skincare can also result in hormone imbalances. This is due to certain ingredients that act like or affect hormones inside the body, known as hormone disruptors. This can cause weight gain, mood swings, and loss of sleep. These chemicals can also negatively affect the endocrine system and impact a woman’s menstrual cycle and fertility. Hormone levels in men can also be affected. Ingredients that affect your endocrine system are known as endocrine disruptors. These ingredients resemble natural estrogen so similarly that they can fit into the same receptors. They can either bind to the receptors, which stops hormones from working correctly or travel directly to a cell’s nucleus, where it can negatively affect the chromosomes or DNA. If you want to learn more about hormone and endocrine disruptors, check out this article from Dr. Axe. Parabens are used as preservatives in many different personal care and cosmetic items. It can disrupt the endocrine system. Parabens may also lead to breast cancer, early puberty, and decreased sperm levels. This ingredient can be hidden as methylparaben, propylparaben, and ethylparaben. Sulfates are the ingredients in your body wash and other cleansers that cause them to have the lavish bubbles. According to the EWG, Environmental Working Group, Sulfates are a “moderate hazard.” They have been linked to cancer, neurotoxicity, organ toxicity, skin irritation, and endocrine disruption. There are many variations of sulfates and they are usually found on the ingredients list as sodium lauryl sulfate, SLS. Fragrances should be avoided when looking at the ingredients list. When the word “fragrance” is used, it is usually code for “added chemicals” instead of listing out each chemical. Choose a fragrance-free formula and use essential oils to make your body wash smell as beautiful as you would like. Even if a body wash claims to be “naturally scented” the fragrance may be masking other dangerous ingredients. Hidden Ingredient Phthalates are found in fragrances to make them last longer. This is one of the ingredients you will usually not see on the ingredient list because it is hidden in the term “fragrances” or other scented terminology. According to the CDC, this chemical has been proven to affect reproductive systems of laboratory animals. The national toxicology program called it “reasonably anticipated to be a human carcinogen”. Phthalates have been banned in the E.U. due to the potential risks and other toxic effects. Cocamidopropyl Betaine is used to create the suds and bubbles that your shower gel or body wash produce. This chemical compound can cause allergic reactions and skin irritations. In fact, in 2004 it was allergen of the year as it became more and more popular in products. Retinyl Acetate is a form of vitamin A that is used as a moisturizer. It can be toxic in high doses to pregnant and lactating women. Retinyl Acetate can also cause cellular changes to the body and organ toxicity. It can hide on the ingredient list as vitamin acetate or acetic acid. It is even more difficult to know which products are non-toxic in the United States as these products are not regulated by the FDA. These regulations are very lax when compared to other countries. Although in other countries around the world ingredients that are allowed in personal care products are better regulated, in the United States there are not as many restrictions. It is very easy for companies to introduce new products to the market due to the lack of regulations. 90% of cosmetic and other skincare products have not been evaluated by the FDA, the Cosmetic Ingredient Review, or any other publicly accountable institution. The E.U. has banned over 1,300 ingredients that are used in personal care products. The United States has only 11 ingredients that they have banned. 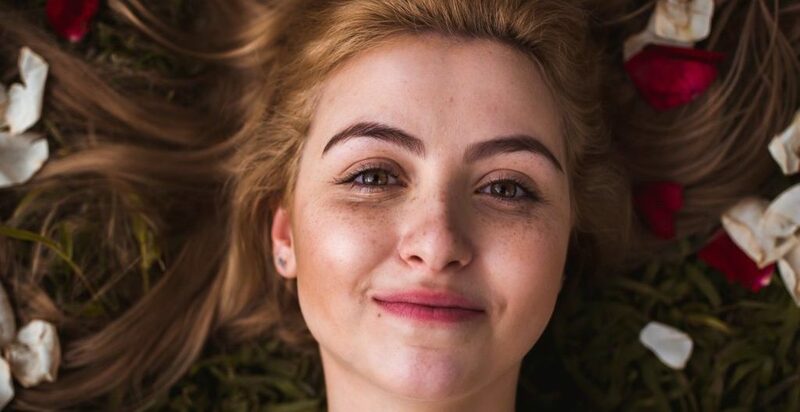 The lack of federal regulation is why organizations, such as the EWG, have taken it upon themselves to track the safety of personal care products to ensure that they are safe and free of harmful ingredients. In order for a product to be EWG certified, they ensure that the companies divulge all of their ingredients, including any chemicals that may have been listed as just “fragrances.” The EWG has a team of scientists, toxicologists, chemists, and entomologists, to ensure that every product is fully analyzed. To learn more about the EWG, check out their website here. If you really want to protect yourself from toxins, think about what your products come in as well. The packaging of your personal care products is important to ensure that you are not being exposed to any toxic ingredients. Look for glass when possible. There is no danger of any toxins latching on to the product from glass packaging. Plastics can sometimes hold on to dangerous toxins that can affect the endocrine system. Although this is something more difficult with body washes, when using plastic packaging keep in mind the type of plastic you are using. For example, is the plastic BPA free? Now that you know what to look for, you still want to take care of your unique skin type. Oily skin will still need different products than those needed for dry skin. 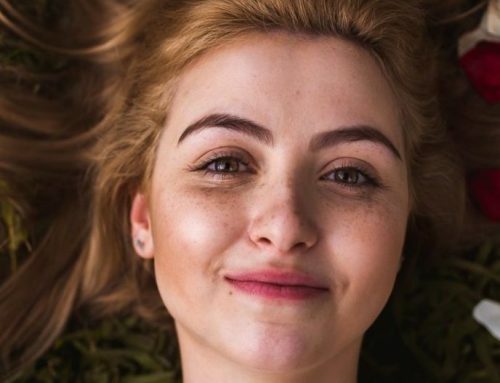 There are certain ingredients to look for in natural and organic products to keep your skin balanced and beautiful. For those with dry skin, try coconut oil. This is a nourishing natural oil that helps to moisturize your skin. Coconut oil contains natural fats that mimic the skin’s natural lipids. If you suffer from body acne, look for products with tea tree oil. It helps to treat breakouts without being overly drying. Dry skin will also benefit from avocado oil, due to the fatty acids it contains. It also has vitamins A, D, and E. This oil moisturizers, boosts collagen production, and can help reduce age spots. Argan oil is another oil rich in vitamins A and E. It also has antioxidants and omega 6 fatty acids to moisturize, without clogging pores. Aloe vera is great for those with sensitive skin. It soothes the skin and can help prevent itching, while also providing moisture. Other oils that are great for dry skin are jojoba, shea, and almond oil. They are rich in antioxidants and reduce flaking of dry skin. These are great to look for in the colder winter months. When choosing a shower gel, it is important to look at the ingredient list and choose a non-toxic formula to ensure that you are not exposing yourself to any harmful elements. Finding a truly all-natural body wash can sometimes be more difficult than just running to your local pharmacy and picking up what is on sale. That’s why we’ve put this list together. Here are ten of our top picks for the best non-toxic body washes. 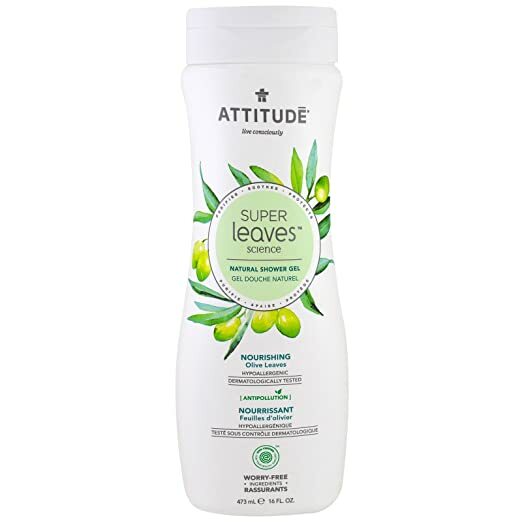 Attitude Super Leaves body wash is meant to hydrate and soothe the skin without any harmful chemicals or potentially dangerous ingredients. This body wash utilizes all of the goodness of oil leaf extracts that are filled with healthy fats and antioxidants. It has luxurious lather, according to reviews left on Amazon. This attitude shower gel is EWG verified, so you can feel good about what you are using on your body. Another baby body wash and shampoo makes the list. It is important to take care of your baby’s skin and not expose them to them harmful chemicals that can be found in other products. But you should also take just as much care of your own skin as well. This tear-free formula is great for children with sensitive skin. The hypoallergenic formula is free of chemicals, fragrances, mineral oils, and other unappealing ingredients. 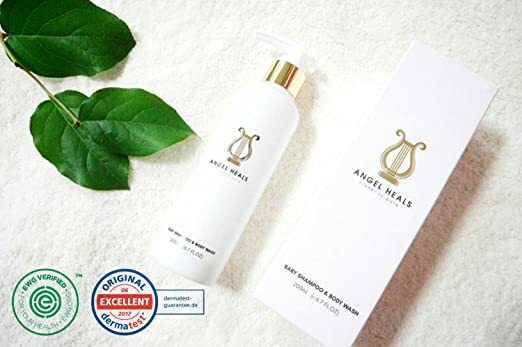 Angel Heals also has very sleek packaging, so you won’t mind displaying it in your bath. 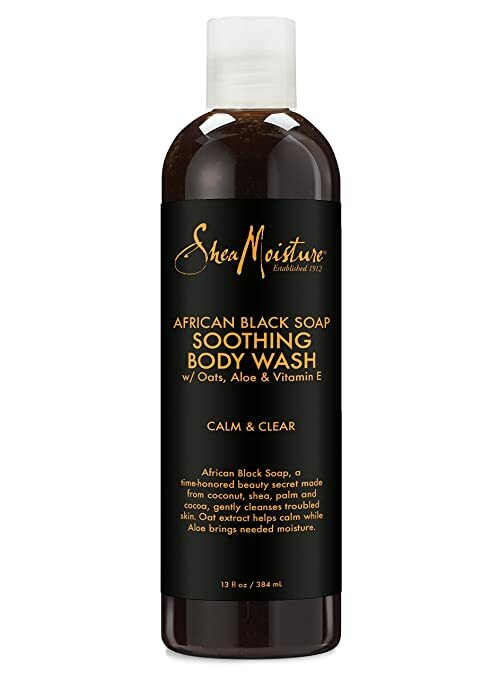 This 2-in-1 body wash and bubble bath from Shea Moisture is a perfect choice for those that are prone to breakouts and oily skin. The gentle, all-natural, and organic formula is made from certified organic ingredients. Although this can help with breakouts, it won’t leave your skin dry. This body wash will have you looking and feeling hydrated and glowing. 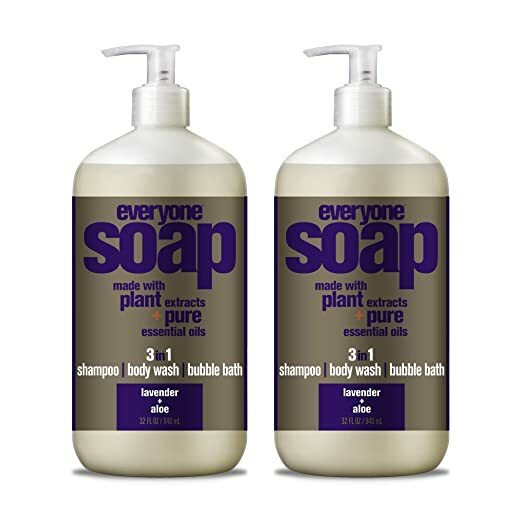 Everyone 3-in-1 Soap can be used as a body wash, a bubble bath, a shave gel, and even a shampoo. Although this brand does offer options with fragrances, they are made with 100% pure essential oils and not the nasty chemicals that are found in other fragrances. It also contains vitamins B5 and E to keep your skin glowing. Earth Mama has made a castile-based body wash that is made specifically for women while they are pregnant. It has the natural fragrance of ginger, lime, and grapefruit. The ginger is specifically meant to help deal with the nausea that is usually associated with pregnancy. It is supposed to be a great remedy for morning sickness, with effects lasting all day. The fragrances are not artificial and are from natural herbs and oils. This body wash gently cleanses and contains no parabens or sulfates. This simple body wash from Nurture My Body is just meant to deeply cleanse your skin without chemicals or irritation. It is formulated specifically for those with sensitive skin. It is fragrance-free, so no need to worry about any hidden ingredients. It is EWG certified, organic, and natural. Filled with botanicals and vitamins your skin will be refreshed after every wash. The plastic packaging is also certified as BPA free. Dr. Bronner’s has been a favorite among many organic personal care product communities. Although this soap does say that it is for babies, it is suitable for everyone. It contains no fragrances, so it is a good choice for those with allergies and sensitive skin. The pure castile soap base provides a rich lather and the nourishing organic vegan ingredients give you hydrated and smooth skin. This product is certified organic by the USDA National Organic Program and is certified Vegan by Vegan Action. It’s also a bonus that you get so much product for a fairly reasonable price! 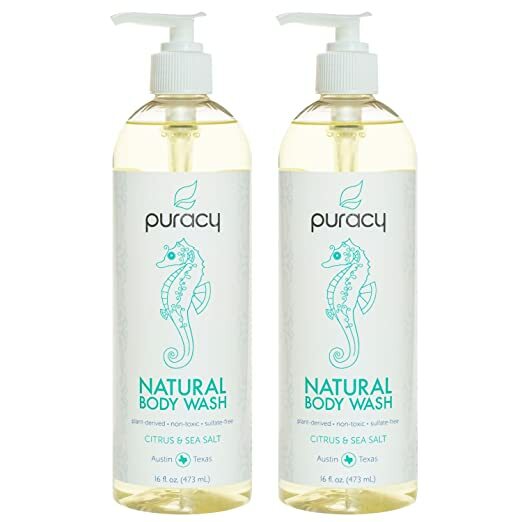 Puracy Natural Body Wash is a coconut-based product that purifies, cleanses, and balances the skin. This body wash was developed by doctors to help increase hydration and remove impurities. So, those with dry skin will benefit from using this body wash. 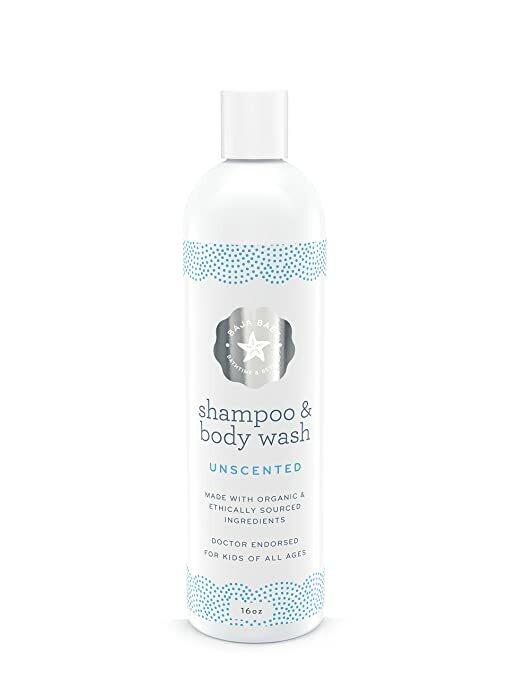 But be warned, although Puracy claims that this body wash is non-toxic, the ingredients list does have “natural fragrances” on it. 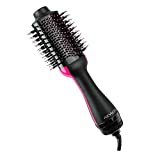 Other than that, this product has amazing reviews and has even been featured on multiple news channels. The Boyzz Only No Nonsense Hair and Body Wash naturally cleanses your hair and body. The formula is filled with amazing ingredients to help your hair and body be its best. Rice bran oil is filled with antioxidants and vitamin E. This oil helps to balance oil on your skin and scalp while helping to strengthen your hair. It can also aid in soothing irritated skin. The addition of acai oil helps hair to look healthier and have a natural shine while protecting it from drying out. It can protect your skin from free radical damage too. This is a great option for those who are gluten free and nut free. Since this body wash is scent free I don’t see why it needs to be “Boyzz” only. So, don’t let the name stop you from purchasing this great EWG certified product. Finding the best non-toxic body wash for you may be just the beginning of your healthy beauty routine or just another addition. Whatever the case may be, now you have a lot of wonderful products to choose from. If you want to still look for others, use the tips above and remember it is important to read the labels thoroughly. Keep in mind that in the United States there are not many regulations on what brands can claim as organic or natural. It is important to do your research. Use your resources and see if products are EWG verified. That is a sure-fire way to know that a product is safe, natural, organic, and non-toxic. Our favorite, that is approved by EWG, is the Boyzz Only Hair and Body Wash. It has great ingredients to keep your body moisturized, clean, and non-irritated. Don’t let the name fool you, it can be used by both men and women. Have you tried any of the best non-toxic body washes on our list? Or do you have another favorite that we totally missed? Let us know in the comments below. We love to hear from you.